M 88, Dynamic Microphone from Beyerdynamic in the M series. 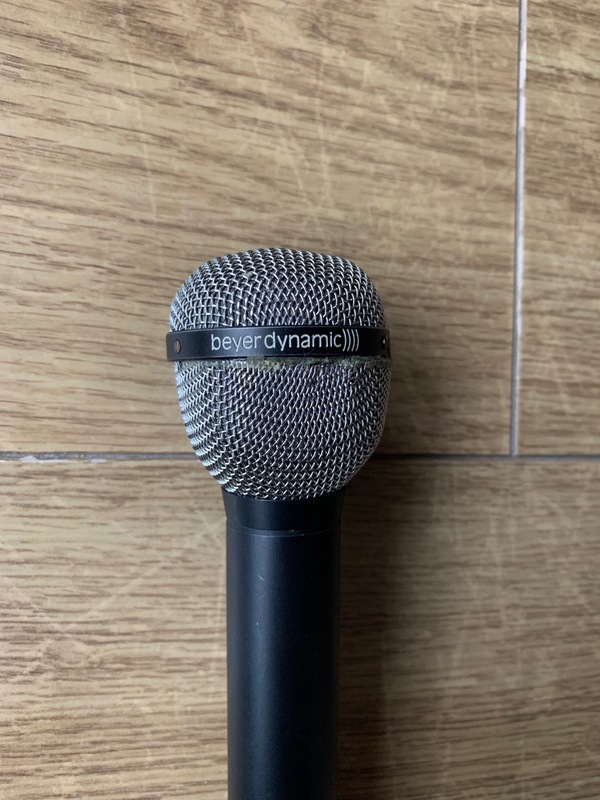 The Beyer Dynamic M88 microphone is a dynamic mic that has a hypercardiod polar pattern. I have only used this mic in the recording studio but it would probably work well in a live setting as well. It is built well and is sturdy which leads me to believe it would work well outside of the studio as well, but I have never brought it outside my studio so I cannot say for sure. This is a great mic for kick drum and guitars, and bass guitars as it can withstand loud signals. 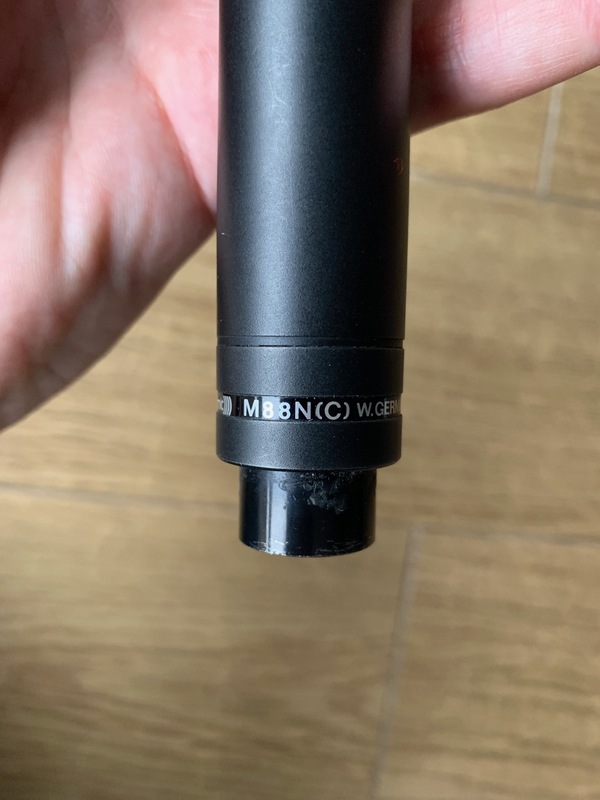 I've been using the Beyer Dynamic M88 for about four years and I have found that it is a great mic in a number of different situations. 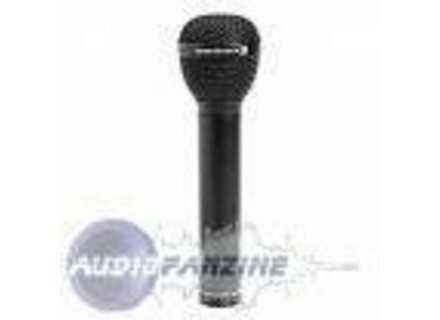 The natural inclination with this mic is to use it with loud signals like a kick drum or an electric guitar, and while it works great on these instruments, it has capabilities beyond this. I have found that it is also a great microphone for percussion of all kinds and is great for some types of singers - namely those who sing or scream a bit louder than the rest of us. Beyer Dynamic has a good reputation for making high quality microphones, and this is just one of many great mics made by this company. I think of this as a much fatter Shure SM57 that can be used for a wider of situations. While the SM57 has the price advantage by a lot, the M88 is more versatile and it probably better sounding overall. 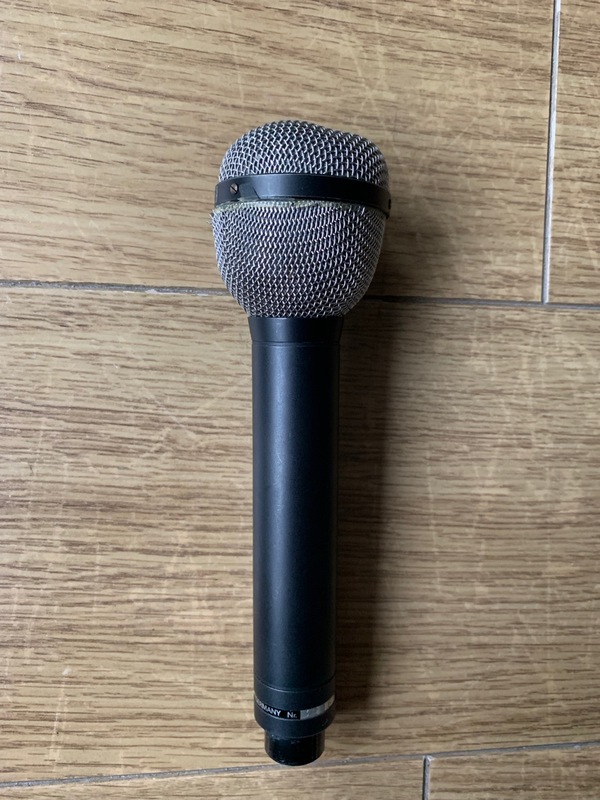 Since it is a high quality dynamic microphone, the price is pretty reasonable, and if you can get one used you can save a good amount of money on these. I love using the M88, and would recommend it for those looking for a great all around, all purpose dynamic microphone. oliv1809's review (This content has been automatically translated from French)" A micro ultra versatile ..."
You can do anything with! Taking voice studio when someone sends a little! A beautiful and sound sensitivity is not "stuffy like bcp dynamic microphones. more than 10 years of use and never disappoints. This is really a great tool, and when I can not find the sound I want with another micro, it is still this one, and in general it takes no risk. C with a micro nia, extended down a beautiful shine that may be a bit too much for guitars, but in this case a bit correcting the amp. A micro try it on a big distorted guitars. Excellent on bass drums rock see more! Definitely a great value, as well as the Shure SM7B, Electrovoice RE20, Sennheiser 421 and 441 billion. Expensive for a dynamic, but worth the price. berl's review (This content has been automatically translated from French)" Multipurpose"
Versatile: for voice and given the resumption of bass instruments. Actually is excellent on most sound sources. Dynamic technology, moving very light giving it a great extent of recovery of the sound spectrum. I acquired a pair 2 years ago, to meet technical specifications. They are used M88, not the current M88TG. I do only live, mostly acoustic music and trad. I was surprised at the softness and balance of sound, particularly in the medium that is very accurate but still soft. The recovery of the lower instruments, percussion, toms is easy, somewhat flattering. Very nice and easy to integrate into a mix. What I like least: Tuchel connectors, I transferred in favor of a normal XLR. Work in my opinion necessary to serve on stage, and not too difficult. I will take other M88 without a doubt. islandfish's review (This content has been automatically translated from French)" down for no reason"